Aircel is one of the best mobile operator for its offer. 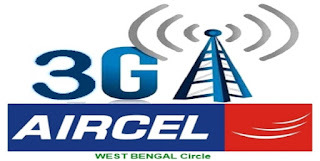 Aircel offer is so popular for student and others in West Bengal circle. Aircel Data cost or call rate everything in our budget becouse its very low price. Aircel 2G available all most all over West Bengal and its 2G is good for calling but not good quality internet uses. Aircel 3G is good for internet use and its low cost price. West Bengal Zone : Darjeeling, Siliguri, Malda, Berhampore, Asansol, Durgapur. Kolkata Zone : Kolkata, Howrah, Barunpur, Raipur, Sonarpur, Maheshtala, North Dumdum, Barrackpur, Chandannagar, Hooghly, Bandel, Kalyani, Barasat, Baranagar.